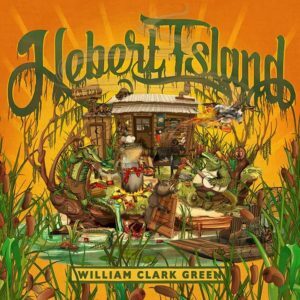 This week sees the release of Hebert Island, the follow up to 2015’s Ringling Road, and Clark Green’s fifth studio album. 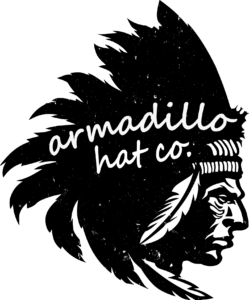 Named after a plot of land on his family ranch in Texas, and also an old family surname (pronounced ‘a-bear’), the record was slated for release in spring but was put back due to some mixing issues. From the title-track and album opener, you get the feel that Clark Green has managed to get the balance just right on this record. Hebert Island is a song that comes straight from the swamps of Louisiana and Texas, it has slide guitar and a nice dirty guitar riff. The chorus is catchy and fun, it’s no surprise that Clark Green told us he’d been opening shows with this song, it almost sounds like it was cut live, especially as all of the fantastic musicians bounce of each other at the end. Lyrically, Clark Green opens up a more vulnerable side to himself on certain songs. What About Now, sees him instruct a lover to go and figure out what they want and “forget about how my world will be without you in it”. On a similar note, Goner is another song that laments the loss of a lover and sees him deconstruct his personality traits to explain why he’s been left alone. This Is Us is a love-letter that looks back on a relationship and its ups and downs. As a single man, you feel that Clark Green is changing his priorities in life. Clark Green hasn’t left behind any of his signature darker side, the current single Hit You Where It Hurts recalls the likes of Sympathy from Ringling Road. It oozes with anger and hurt in a way that Clark Green seems to be able to do without seeming too cocky. He sings “just when you think things can’t get worse, I’m gonna hit you where it hurts”. This is a side of his music that I love, it’s not all lovey-duvvy country music, it’s real feelings that we all have. The same can be said for Farewell, a song where he proudly sings “you can go to hell, farewell” and “you used to hold my heart in the palm of your hand, now I only hold a grudge”. For me, the real high point of the album is a knockout three song salvo. Wings, Poor and She Loves Horses showcase Clark Green’s development as a songwriter. Wings is a big song with a soaring chorus and an uplifting theme, he sings “I don’t need a reason to chase freedom, now I’ve found something I can believe in, seeing what I’m seeing’s like nothing I’ve ever seen, who the hell needs wings?” It’s an uplifting song that grows and grows. Poor, on the other hand, takes us down a more traditional bluegrass route, it’s about as ‘country’ as anything this band have produced and it really works as a great break from the big, rocking guitars. She Loves Horses deserves the nod as my favourite on the album and a paragraph of its own! Clark Green said to me that he felt like George Strait could have cut this song and he’s not wrong. It’s built for stadiums, with its powerful chorus and huge guitars. It’s a song that swells up from humble beginnings to all out power balladry. It’s a heart-on-your-sleeve love song that makes you want to roll the windows down and turn the music up. It has a huge guitar solo that’ll get the hairs on the back of your neck standing up. Mark my words, if Brad Paisley or Keith Urban released this, it’d be a huge huge number one! Clark Green really deserves that recognition! Drunk Again and My Mother, the album closer, are two more personal songs on the record. Clark Green described the former as “literally who I am right now in life, you know?” and the latter is a tribute to his mother and the person who always had his back. There are plenty of poignant moments on the record and My Mother certainly fits into that. It’s also perhaps a telling song, coming just after the regretful I Miss You, Clark Green seems to be pondering that, no matter how many relationships may go wrong, the love of his mother will always be there. Hebert Island is definitely different to anything that we’ve seen from William Clark Green before. He’s always been a great songwriter but this seems to be becoming more and more refined through the years. It’s a well-thought and optimistic collection of songs that show an artist coming into his prime as he still tries to make sense of the world. Clark Green may be anxious about this release but he really has no reason to be, Hebert Island is his most complete collection of songs yet and is one that fans are bound to love.